Richmond Council and West London Waste Authority are hosting a recycling collection for old, small electronic equipment (WEEE). 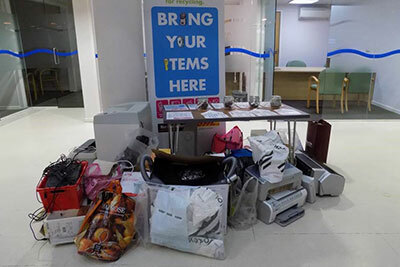 From 11 to 15 February from 9am to 5pm at the Civic Centre in York Street, items can be donated. This follows the announcement at the end of last year that WEEE can also be donated at nine of the borough’s libraries. Find out more about recycling electrical items or see the opening times for the libraries. It is estimated that one million tonnes of electrical items are thrown away in the UK each year. This type of waste is considered hazardous and is growing three times faster than any other type of waste.